The quest how to turn lead into gold, so vivid over centuries, has now evolved into a different question – are the financial markets efficient and can one make consistent profits in trading. An important distinction has to be made between (1) one-off trades, say taking a bullish view on an equity index and being right, and (2) making money consistently, over shorter and shorter time frames, be it days or even hours. Whereas the former (1) can be argued to be nothing more than a gamble, which might work well repeatedly, but cause an investor to lose all its money during a black-swan event, the later approach (2) calls for some sort of an algorithmic trading, probably using a scripted computer strategy or employing an AI. The topic of my investigation has been the trading range breakout strategy – a simple form of momentum trading, whereby if prices fall or increase intraday, they should continue to do so until approximately the end of the trading session. The trading range is usually defined as the first 30 minutes or an hour of the trading session. If prices increase above the max (decrease below the min) of the trading range the long (short) position is opened. Position is either closed at the end of the trading session, or closed at a loss limited to the size of the trading range. Although there are convincing arguments why the above strategy should work – be it (1) change in liquidity, especially between Asian and European trading hours, or (2) presence of insiders, who want to position themselves ahead of a leaked release of macroeconomic data, the strategy on its own has produced good results for some, but not all of the financial instruments under consideration. This can be attributed largely to the concept of data mining – i.e. a repeated search for a profitable strategy, while changing the parameters will invariably lead to the satisfactory outcome. The workaround is to repeat the exercise over large number of parameters and financial instruments. If aggregate results show a consistent bias towards profitability, then concept might display desirable statistical properties and further optimization will be advisable. This is when Artificial Intelligence might come into play – which in its simplest form is simply the use an iterative process to teach an algorithm to proceed with a strategy on any given day or not. A very attractive concept is to select only those days or instruments that display properties of distress, i.e. when other investors might behave irrationally to cut the losses. Despite higher spreads, many financial instruments tend to trade in one-way only, which is exactly the desirable statistical property we are after. The AI algorithm will be optimized based on the price action around the beginning of the trading session, with parameters reflecting trading range, degree of mean-reversion and volatility. Based on the historical distribution of the parameters regressed on a binomial outcome (profit or loss generated during past trading sessions), an AI algorithm can be taught to use those probabilities to arrive at the final decision whether to proceed with a strategy or not. Although the above research might seem offer a binomial outcome: to prove or disprove the hypothesis that AI can be used to generate consistent profits in trading, the above setup might also offer some edge, but not statistically significant to offset transaction costs, taxes, or price discontinuities. However, when trade has to be done anyway and question remains purely around the entry and exit points, the transaction costs etc. can effectively be ignored. This might make AI a fantastic tool for the execution guidance. 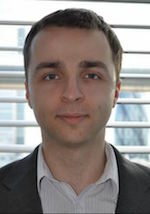 Jacek Musialski holds an MSc degree in Finance and Economics from the London School of Economics. Over last few years he has worked for a tier 2 investment bank in the City of London, focusing on Counterparty Risk. He has witnessed first-hand how finance is evolving, influenced by technology, regulation and central banks. Passionate about financial markets, he is a strong believer in markets inefficiencies and that trading is not a zero-sum game. In his spare time he enjoys travelling, playing 5-aside and a good book about human psychology. 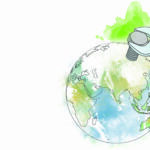 Technological Fix Could We Stop Climate Change Using Science?